The Short Version: Since the early 2000s, Virginia Roberts has been the voice of online daters who didn’t know how to express themselves. Thanks to her in-depth profile writing, one-on-one coaching, lively podcast, advice-packed newsletter, fun photo shoots, and bubbly personality — all of which are featured on her site TheHeartographer.com — Virginia has helped singles from all over the world find their voice for dating. More than a decade later, Virginia is taking on a new adventure, but fans old and new will always be able to access the expert advice we all love. When creating an online dating profile, choosing a username, picking which photos to use, and reaching out to matches, it can be hard to showcase the real you. You want to be genuine and put your best foot forward, but you don’t want to come off as fake, pushy, robotic, or desperate. 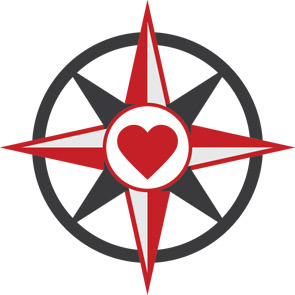 Virginia Roberts created TheHeartographer.com to help singles with their online dating woes. No one understands that better than Virginia Roberts, who experienced these exact problems when she started online dating in 2003 (before it was widely accepted and new tips popped up every day). Through trial and error, Virginia went from online dating novice to pro. Her natural way with words and people is her bread and butter for helping singles, walking them through the entire online dating process so their unique personalities shine through and they attract compatible dates. 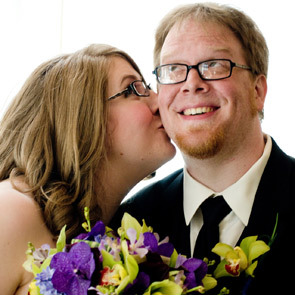 Twelve years later, Virginia is taking the next step in life and love and was kind enough to take us along with her, giving us the scoop on what the future holds and how her loyal readers can still get the great advice they’ve always loved. Virginia has been a self-proclaimed relationship advice column junky since she discovered Dan Savage, a pioneer in the medium, in middle school. Throughout high school and college, she continued reading tips and tricks from the experts and became inspired to do something about the lack of success in her love life. Dates weren’t turning into relationships, and she wasn’t finding that special someone. But that was going to change. After meeting her husband online, Virginia decided to pay it forward to other singles. Virginia turned to online dating and, after several questionable profile photos, bad emails, and awkward dates, learned how to make it work for her by using her writing expertise and sense of humor. With a funny, honest, and curse word-heavy ad, it didn’t take long for her to meet her now-husband Grant on Craigslist (before it became known for Casual Encounters). She knew she could do the same for others, so she started helping several of her single girlfriends craft profiles that represented who they really were, which led to all of them finding their husbands online. Virginia then started paying it forward on TheHeartographer.com. “I figured out what the rules were, and once you know what the rules are, you can break them in a way that’s to your advantage and spin the whole process to your desire,” she said. She’s also not afraid to call out large dating sites for their lack of concern about the online dating experiences of women, people of color, and other minorities, and she’s most definitely not afraid to speak up about wanting to see changes now. “Unfortunately I think we’re many years away from change, which bums me out, but I’m not going to stop complaining about it because being a voice about that is helpful,” she added. From a popular podcast to a monthly newsletter to a blog with numerous pages of advice, Virginia has a lot of avenues for dishing out tips. The best part is it’s all relatable and funny, including articles like “Ye Olde Tyme Usernames” and podcasts like “#Mansplaining,” which is how she’s won the hearts of so many. No one has more energy than Virginia, and you can tell that whether you’re reading her words or listening to her talk. It’s her upbeat and girl-next-door attitude that has contributed not only to her success but the success of her clients. This is especially true when it comes to their online dating profiles. Virginia’s been known to spend at least two hours with every client, genuinely getting to know them and taking pages of notes to craft the perfect profile just for them. And it all shines through in the end result. Virginia’s helped singles of varying personalities, ages, locations, sexual orientations, and genders, and she’s created a trustworthy reputation for herself thanks to her process of adjusting for each person and their unique struggles, even down to what punctuation she recommends they use. From one-on-one coaching sessions to regular advice columns to client photo shoots, you could say Virginia has kept busy at TheHeartographer.com. And while some of these things will take a backseat for now as she focuses on her new career, there are still plenty of ways to get the same advice you’ve always loved, including her free newsletter and podcast, Steady. Readers can stay updated with Virginia through her Steady podcast and newsletter. Virginia’s favorite way of connecting with readers, the Steady podcast appeals to both singles and couples and features live callers, special guests, and hot, fun topics like Googling your dates. 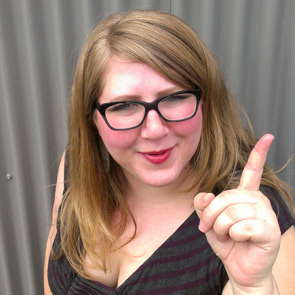 While she doesn’t have a firm schedule for the podcast right now, Virginia is still taking requests for future shows. Until then, you can always check out past episodes here. Virginia also sends out monthly newsletters with updates and has a free resource section that has a bunch of timeless tips about online dating safety, shifting from messaging to calling, and choosing a username, so her advice is never out of reach. More than a decade of advice and laughs later, Virginia is taking on a new adventure. With a background in tech, including being a Kindle QA Specialist at Amazon and Trilingual Localization/Game Tester at Nintendo, Virginia will return to that life as a program manager at Microsoft. She’ll be working with customers who have early access to products to make sure everything is ready to be released to the masses. “I’m not going to stop complaining about it [lack of diversity in online dating] because being a voice about that is helpful,” Virginia said. And while she plans on being in the tech world indefinitely, Virginia does have a few things up her online dating sleeve. In particular, she hopes to release a series of video tutorials at the beginning of 2016 and start working on a book that will encompass all of her tips for profile writing, choosing usernames and photos, and writing messages. And, as with anything Virginia does, she’s going to take her time to ensure everything is up to her readers’ standards. 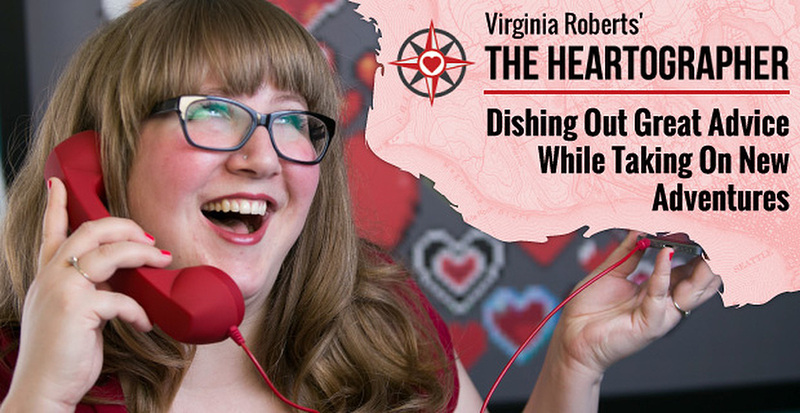 We love what Virginia does on TheHeartographer.com, and it’s great that everyone can still get their fix of expertise, honesty, and sass through her podcast, newsletter, and free resources. Virginia is a breath of fresh air in the dating industry, and we can’t wait to see what she does for the tech industry. We also can’t wait to see the dating surprises she has in store for us all.